Sun. Sweat. Waves. 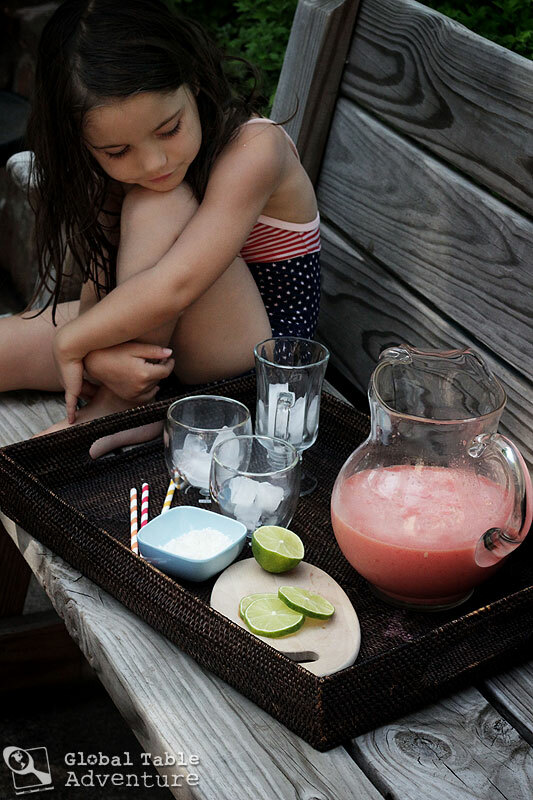 If lemonade is the go-to poolside drink in the United States, ‘Otai is the go-to ocean-side drink of Tonga. Our recipe for ‘Otai takes us way out into the southwest Pacific, where the tropical days lull a person into putting away their smartphone. Can you imagine? Oh, please, someone take my cellphone from me!! I promise you won’t need your phone to enjoy this drink. 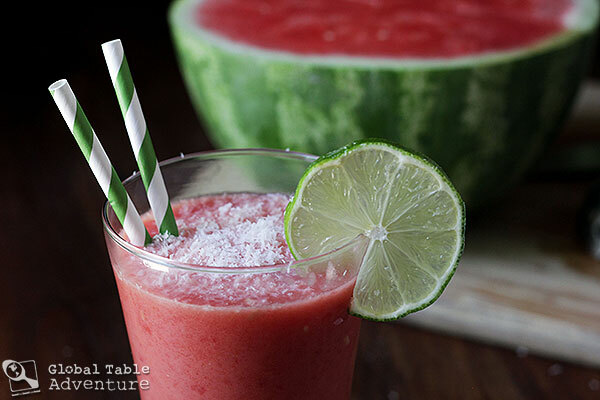 TIP: The watermelon and coconut milk should be very cold. Refrigerate them overnight.. or you could make the drink ahead, and refrigerate it for several hours, or overnight. While you wait, paint your toenails watermelon pink (or is it red?). Use three coats. No biggie. 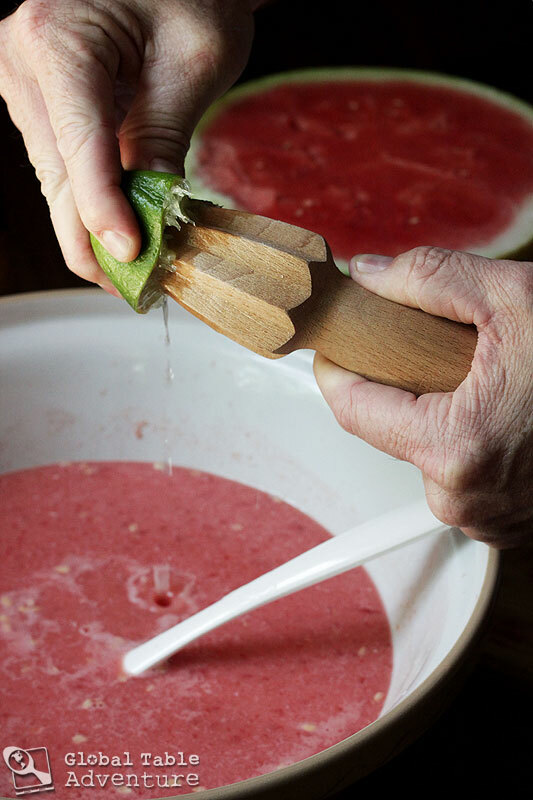 Add watermelon flesh to a large bowl. Crush it, using a potato masher or by pulsing with a blender (regular or immersion)… You want to leave it with some texture and body. In Tonga, this used to be done by grating the watermelon with something like a fork. I ended up using my immersion blender since I couldn’t get the pieces small enough (for my tastes) with the potato masher. Don’t let those white seeds bother you. Every picture of ‘Otai I’ve seen has ’em. 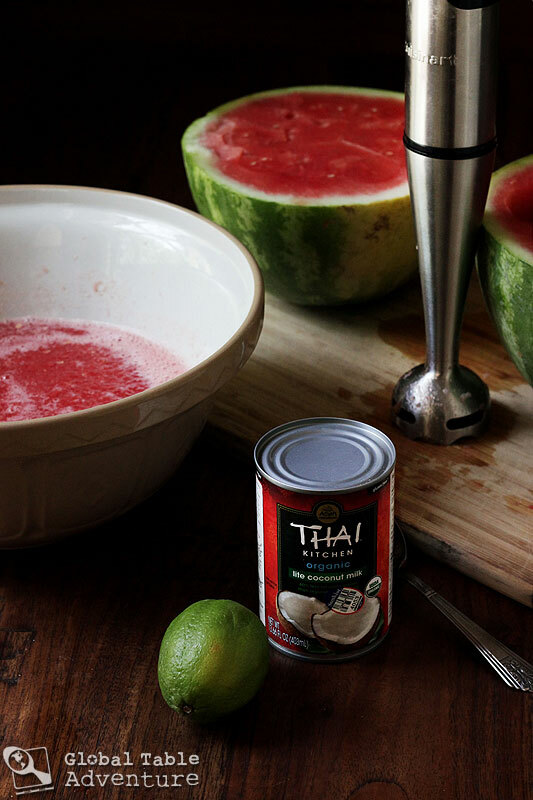 When you get the texture to where you like it, stir in the coconut milk and fresh squeezed lime juice. Pour into glasses over ice (if you’d like) and top with shredded coconut. Garnish with a wedge of lime. ‘Otai is naturally sweet, tropical, and full of body. 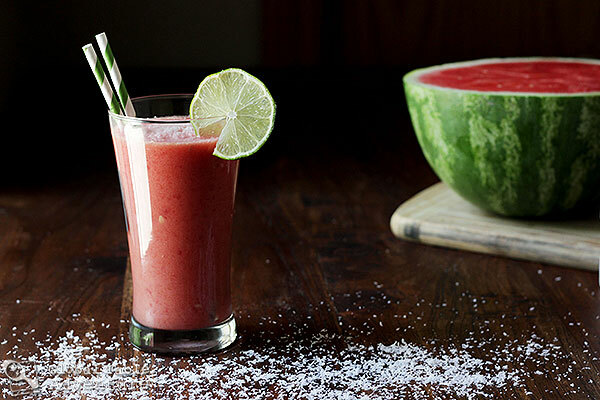 The little bursts of watermelon are the most fun, but watch out – they might clog your straw! A yacht anchoring at South Minerva Reef, Tonga, Pacific Ocean. Photo by Gregory Walsh. When you get the texture to where you like it, stir in the coconut milk and fresh squeezed lime juice. Pour into glasses over ice (if you’d like) and top with shredded coconut. Garnish with a wedge of lime. 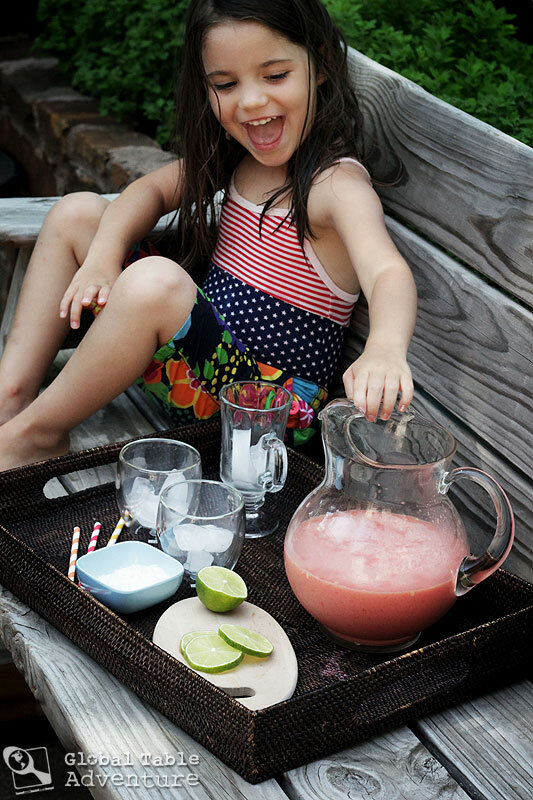 This is like an enriched version of an agua fresca from Mexico. I’d bet it would make a wonderful slushy or sorbet if slightly frozen. Or a popsicle! I don’t carry a cell phone regularly–sometimes to the city for grocery shopping, that’s all. People ask me how I can do that–how can I not? The Otai looks mmmmmm Will make it Sunday, forecast is hot day. Took mine shopping but for 3 hours, it never left my purse. It is not a smart phone; if I had 3G smartphone, I would be really annoying. Picked up a mango to add to Otai. Old enough to have had many many years of living without a phone and then no call waiting or answering machine and no cell phone. Life was simple, managable, nice, fun and interesting… and we had lots more time to do things we really enjoyed doing. I agree with your statement. We have one cell between hubby and myself but only use it when one of us is away from home. If folks want to reach us they call the house. If they wait 6 rings they can leave a message, or call back later. The phone is NOT the center of our world. Can’t wait to try this over the weekend! 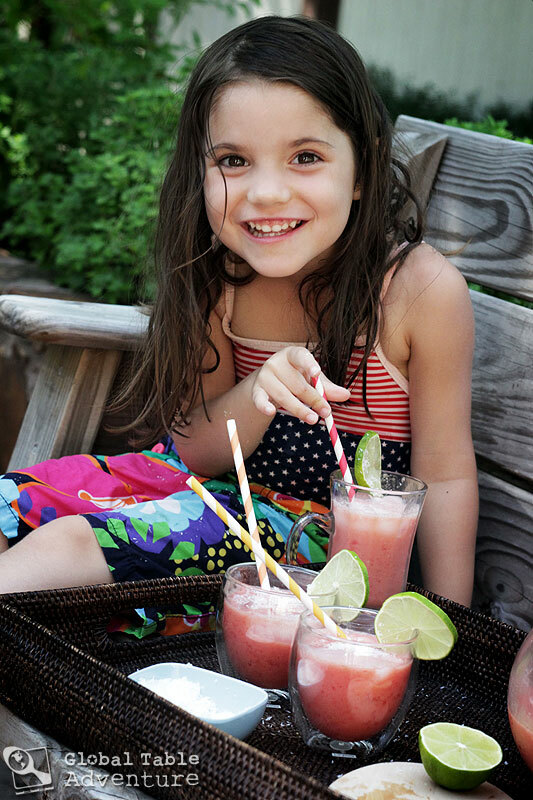 I love finding recipes for global drinks which I can craft with my kiddos! Thank you for sharing!! Mmm. Sitting here enjoying a nice relaxing Saturday morning (except for the de-skunking of our Newfoundland – she had a too close encounter last night) drinking my otai. Mmmmmm. I love coconut and this is the way to drink it. Not too sweet and oh so refreshing. And really easy to make. I just mashed a bit then pulsed in my blender. 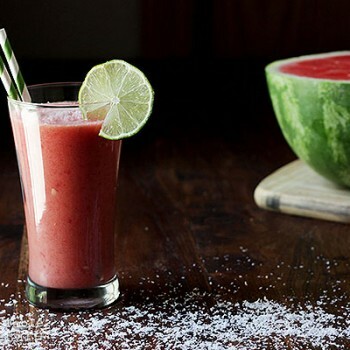 This will be a regular summer drink. And a nice fresh surprise for company. Thanks for sharing this one Sasha. Hey Newfoundland! It’s Kelowna, BC here! This website is amazing, don’t you think? We can be on either side of the country, in different time zones and parts of the planet yet we are still connected to one another. I’ve tried many of the recipes with great success. How about you? OMG! I just re-read your original note and did not notice the dog part…I’m an idiot. A Newfie dog in San D must be challenging with the hot weather. We’ve had several St Bernards, both long and short haired. Have you ever tried a ICY PUMPKIN SMOOTHIE? Icy cold and soooo yummy. Recipe is enough for 2 thirsty people: 1/2 can pumpkin puree, 2 Tbsp sugar/sweetener, 1/2-1c milk (regular/almond/soy/etc), 1 Tsp pumpkin spice, 1 Tsp ginger (fresh grated is best), ice cubes (as many as you need to get your desired thickness) Throw everything into a blender and hit “smoothie” or “crush ice”. You’ll need to stop every so often to stir things up. It’s a bit icy rather than creamy but we like it that way. 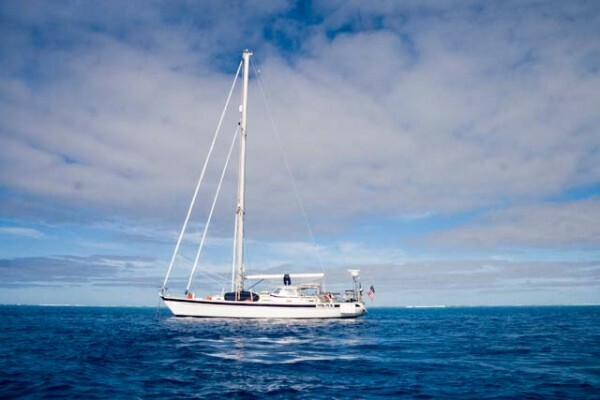 We’ve spent some time in the Yucatan (south eastern Mexico). There is wonderful drink the old Mayan folks call AQUA VERDE. Anyone have a recipe, list of ingredients or know where I may find it? We had this every morning for breakfast. Thanks! I will be often to blogging and i really many thanks for content. This content has really mountains my attention. I am going to bookmark your site and make checking for fresh information. That is a beautiful photo of Ava! 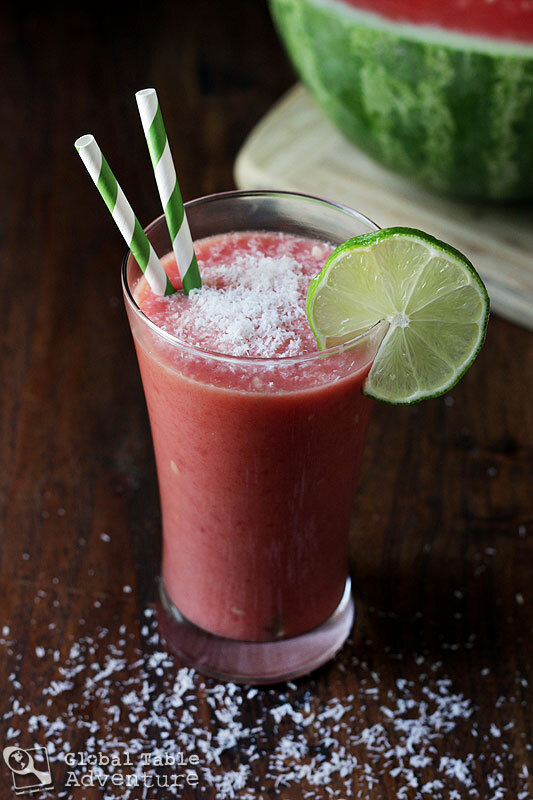 Coconut and watermelon – two of my favorite juices in one! 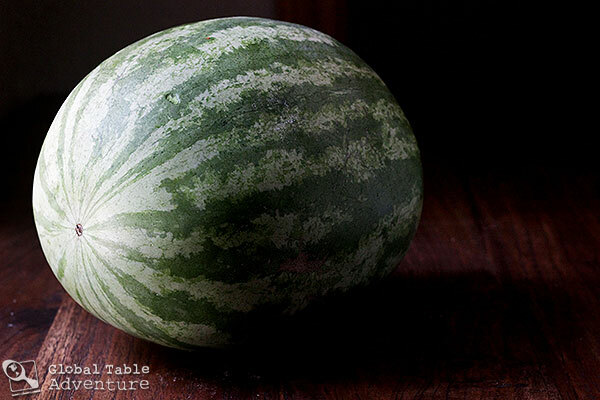 I’m lucky watermelon is in season – off to the market go! 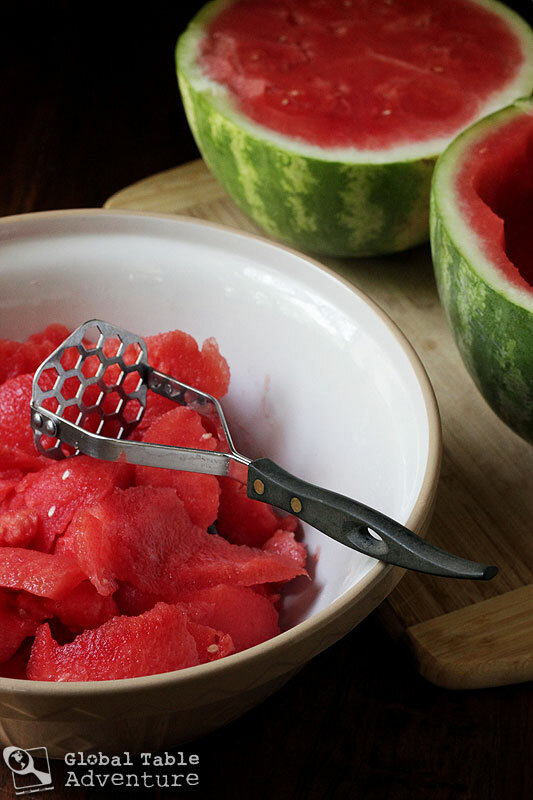 🙂 Grating the watermelon with a fork sounds interesting – I’m curious about the difference on the flavor. Only one way to find out! It’s good as a popsicle. I use Dixie cups android a plastic spoons freeze and eat on a very hot day, (Great for night sweats.) For us seniors!!!! !